New Movie News, Trailer and Upcoming Movie Reviews. There are some actors that can play a wide variety of characters. Tom Hanks, for example, can play anything from a starving man on a deserted island to a newspaper executive to a talking cowboy toy. However, there are just some actors who can’t escape their most famous roles. For example, whenever I see Timothy Omundson in anything other than Psych, all I can think is Carlton Lassiter. I’m sure we’ve all had similar experiences. Here are some of those actors who will never be seen as anything other than their most famous roles. Linda Blair was basically born into the horror genre. At the tender age of thirteen, she starred as the possessed child in The Exorcist (1973). From there, she starred in more horror films like Hell Night (1981); she would dabble in the crime genre as well in films like Savage Streets (1984) and Chained Heat (1983), but nothing ever seemed to stick. Like numerous other child actors, she was cemented into her role as Regan MacNeil and no one could forget it, least of all her. Despite guest starring on TV shows and small roles in movies, she has never struck gold as much as she did with The Exorcist. There’s something about Friends that everyone just seems to love — including me. 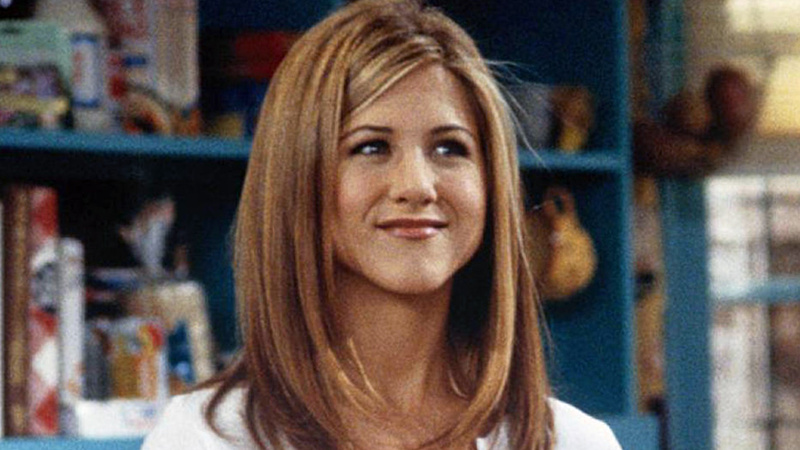 A big part of the TV show’s success is due to Jennifer Aniston’s famous role as Rachel Green. Aniston exuded the perfect amount of sarcasm and sweetness to create a memorable character. Unfortunately, her character may have been a little too memorable because she just can’t seem to escape it. Sure, she may have been in raucous comedies like We’re the Millers (2013) and The Bounty Hunter (2010), but nothing can hold a candle to the fame she earned from Friends. Sorry, Aniston, but you’ll always be Rachel to me and the rest of the world. Being in a successful TV series is a double-edged sword. On the one hand, you become really famous and people everywhere know your name (not to mention the pay isn’t too bad, either); on the other hand, that’s all that people see you as. Rainn Wilson is seriously cursed with the latter. After playing the annoyingly lovable Dwight Schrute on The Office for eight years, no one will see Wilson as anything else. Seriously, watch him in any movie and it’ll just make your skin crawl because it seems so unnatural. Dwight Schrute isn’t supposed to be out traversing the Sahara with Matthew McConaughey. He’s supposed to be in Scranton, Pennsylvania, cutting the faces off CPR dummies and wearing the same stupid brown tie/yellow shirt combo everyday. Don’t give me any flak for this one because I know exactly what you want to say right now. “But, Kali, Emma Watson has built up a successful career outside of Harry Potter. She was in Beauty and the Beast and Perks of a Being a Wallflower and so many other movies!” Yeah, well, what’s the first role you think of when you think of Emma Watson? If you say anything other than Hermione Granger, you are a liar. No matter how many other roles Emma Watson absolutely nails or how much she changes her image from the innocent child star, she will always be Hermione to me. That’s the curse of being a child movie star. I’ll be honest here — I think The Hangover franchise is really dumb. Just a bunch of alcoholics getting together to do extremely illegal things and then calling it humor. But, no matter how much I hate it, I cannot see Zach Galifianakis as anything other than Alan Garner. That’s partly his own fault — he tends to play the same character in every film; he’s always cast as the stupid guy who the others only keep around because he sometimes says things that are so stupid they’re funny. Personally, I’m not a huge fan of him (if you couldn’t tell already), but I respect him for creating a character so well-known that it defines his career. I don’t care how often I see him in other films, Frankie Muniz will always be Malcolm. Even as a full-grown adult, he still looks like the nerdy little kid I’d see on TV reruns after school. He may have more famous roles, such as Agent Cody Banks (2003) or My Dog Skip (2000), but I think, deep down, he is still Malcolm; when you play a character for so long, you begin to adopt their traits (seriously, look at how alike Robert Downey Jr. and Tony Stark are). Like Galifianakis, he’s typecast as the nerdy kid so often, that it’s hard to see him as anything else. Nobody can convince me that he isn’t just Malcolm Wilkerson grown up and in the Hollywood business now. 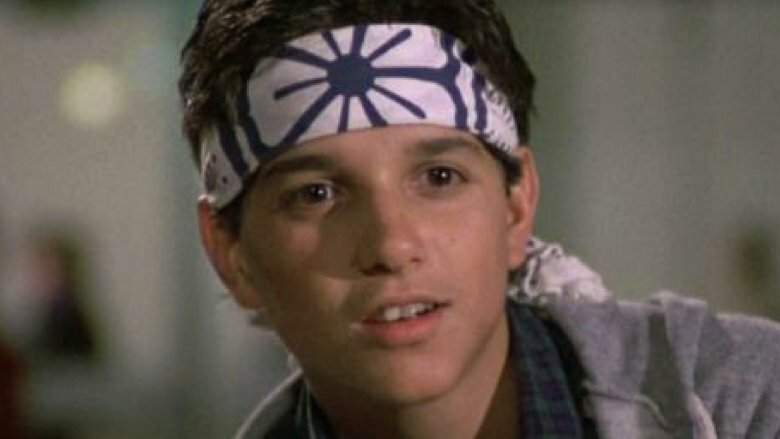 As much as I love his other famous roles in The Outsiders (1983) and My Cousin Vinny (1992), Ralph Macchio will forever be immortalized as Daniel LaRusso in The Karate Kid (1984). His baby face is just so well-associated with the role that it’s hard to see him as anything else. Even when he guest-starred on Psych years later (yes, I like the show, how could you tell? ), he still looked like teenage Daniel getting ready to use the famous crane kick on Johnny. I guess there are worse roles to have follow you through your life, but it’s still got to be pretty annoying to be defined by a movie you filmed nearly thirty-five years ago. 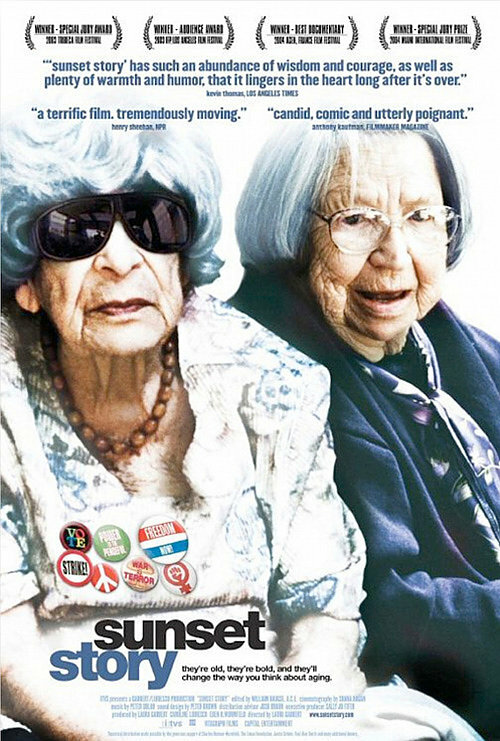 Image via Zap That Movie! 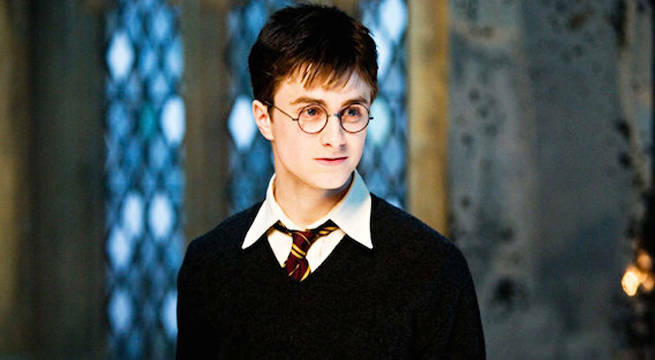 Has Daniel Radcliffe actually been in anything since Harry Potter? I’m joking, of course. I know that he’s had quite a successful career ever since launching to stardom in 2001 with Harry Potter and The Sorcerer’s/Philosopher’s Stone. But he just looks so much like Harry Potter that I find it hard to believe him as anything else. I mean, it’s not a horrible thing really. The Harry Potter franchise is probably one of the most successful movie franchises of all-time. If you’re going to be known for only one really famous role, you might as well go big or go home. The problem is that the franchise had to end, but he can’t stop looking like Harry Potter. Ahh, Mark Hamill — how I love you. You’re one of those few actors who doesn’t try to distance himself from his most famous roles — you’ve accepted that you are Luke Skywalker. In fact, you’ve accepted it so much that you even revived him thirty years after the original trilogy ended just because you couldn’t deny your true identity. Some people may know you as The Joker or Red Skull or dozens of other cartoon character voices, but you’ll always be the greatest Jedi to me and millions of others. Here’s to you, Mark Hamill. You’ve earned your place on this list. May be the force be with you, Mr. Hamill. In all reality, that’s the plot of the movie: a group of actors are filming a movie set during the Vietnam War and are forced to become the soldiers they are portraying. If I hadn’t seen who the stars were, I would have assumed this was a horror film. Yet, Stiller, Black, and Downeysomehow create one of the funniest war movies ever; that is definitely not something I ever thought was possible. However, when you find out whose idea it was, everything makes a bit more sense — Mr. Stiller himself. He always thought it was funny how his actor friends would talk about preparing for filming war movies; they would often compare it to the real travesties that soldiers went through. Stiller thought that was ludicrous — they only went through a watered-down version of real boot camp — and wanted to poke fun at that concept, a goal he accomplished in Tropic Thunder. I never thought that such a premise behind a movie would ever work. People wouldn’t go for something like that. It’s too violent for comedy and too offensive for a general audience. Who would ever find that funny? Apparently a lot of people, including me. Yes, I believe that Mr. Downey deserves his own section for his riotous performance. I’ll never know how he did it, but somehow he made a borderline offensive role into an Oscar-nominated performance. He was in blackface, for Pete’s sakes. How??? I know who I am. I’m the dude playin’ the dude, disguised as another dude! Same thing happened to me when I played Neil Armstrong in Moonshot. They found me in an alley in Burbank trying to re-enter the earth’s atmosphere in an old refrigerator box. This really only adds to my personal theory that Robert Downey Jr. was actually given superpowers from that horrible Burger King burger he ate one time (if you don’t know what I’m talking about, look at the story of how he got off drugs). Ever since then, his career has been on the up-and-up and I’ve never loved him more. Let me set the record straight: I really dislike Tom Cruise. I think he’s an arrogant, strange little man. However, there is something to be said for the man’s dedication to a role. He does all his own stunts, even shattering his ankle during the filming of Mission: Impossible — Fallout (2018) (a detail you can actually see in the finished film). And he’s in phenomenal shape for a guy his age. And he’s surprisingly funny. 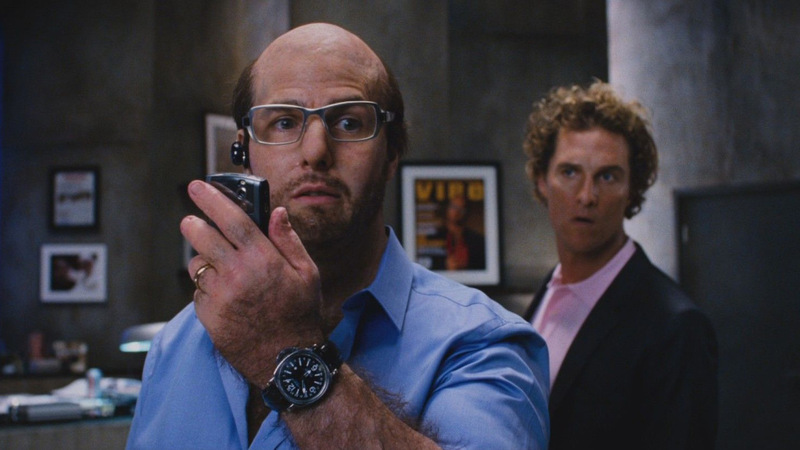 Playing big-shot executive Les Grossman, he is somehow annoying and hilarious all at the same time. Plus, I just can’t stop laughing at how funny he looked without hair and sporting a nerdy goatee and large hipster glasses. Really throws you off the Maverick, Top Gun (1986) look. I really hate to say it, but Tom Cruise had a highly amusing role in this film and deserves way more credit than he gets for it. Tropic Thunder makes no pretense about being serious. The whole movie is one extremely unlikely coincidence after another. The whole plot is based on the fact that a group of cocaine smugglers are trying to kill the actors who ended up in the wrong place at the wrong time. I just love the choice to make the whole movie seem so outlandish. 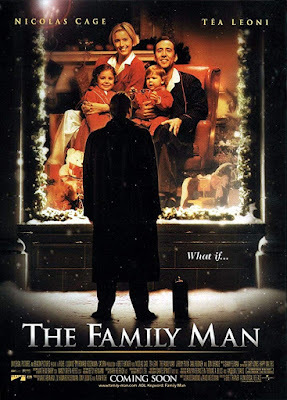 From Ben Stiller’s grossly blown off hands to the cocaine smugglers fascination with Simple Jack — Tugg Speedman’s grossly overacted handicapped role — it just gets dumber and dumber by the minute. Simply because it’s so stupid. It’s so stupid it’s funny. Nowadays, it seems that people have such high standards for what they want their movies to be. They want the humor to be funny yet understated; the action heart-pounding but not too unbelievable; they want characters to be three-dimensional but not cliché. Basically what I love about Tropic Thunder is that it doesn’t care and it goes as hard on this film as it wants. I won’t lie to you: this film isn’t for everyone. If you hate grossly stupid humor, you won’t like it. If you get offended easily, don’t watch it. And if you hate just letting loose once in a while and realizing that you don’t have to act cool and cultured all the time, don’t watch it. Go back to watching your five-star films and drinking fine wines and leave the bawdy humor to the lower classes. Tropic Thunder is hilarious. It puts Robert Downey Jr. in a role we normally don’t see him in and puts him with veteran comedic actors like Jack Black and Ben Stiller. Tropic Thunder is basically a two-hour SNL special; there’s not a moment without a joke. I absolutely think Tropic Thunder is worth a watch, even once. Trust me, you won’t regret it. DISCLAIMER : No copyright infringement intended , All the materials/contents posted in this SITE linked and credited to the Owner. We do not own any copyrights.